Cloudy skies returned on Monday, 1 April 2019, and continued until Sunday, 7 April. Had some rain (0.03") Saturday morning, 6 April. 1850 MST: sunset. Time was approximate due to clouds along western horizon. 1851 MST: LX600 ON, StarLock OFF, High Precision OFF. Note: there had been concern about the "GPS rollover" that occurred Saturday, 6 April. Some older GPS receivers would see the date revert to "1999". The GPS receiver on my LX600 telescope (received in 2016) did not experience any problems. 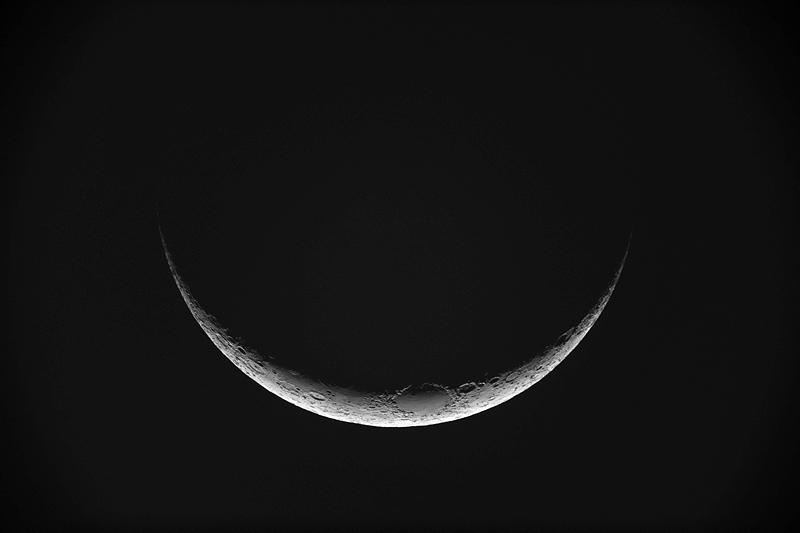 1854 MST: viewed the crescent Moon, 102X. I updated the TLE for this night's short pass of the International Space Station (ISS). I mounted the D850 DSLR at prime focus + 2X Powermate for a video recording of the ISS. Settings were 2160p, 30fps, 1/2000sec, ISO 3200. SYNCed the AutoStar on the star Capella, focused and locked the 12" primary mirror, checked the alignment of the finderscopes. 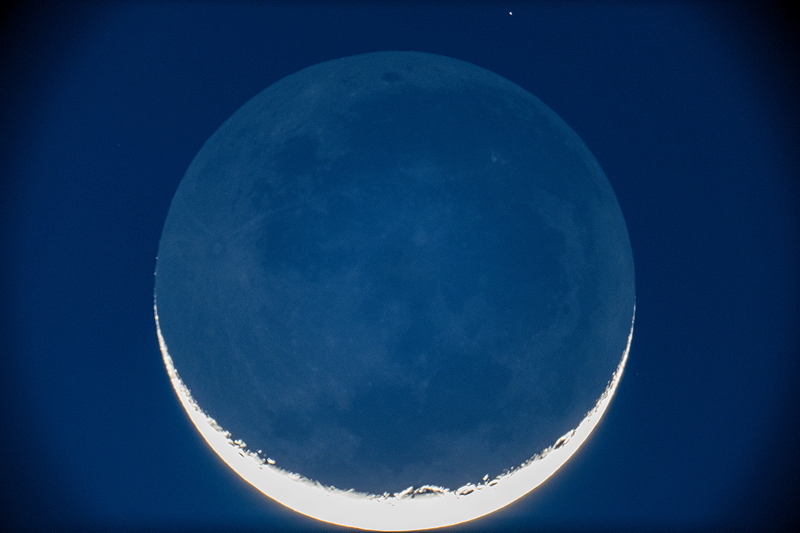 I will revert to imaging at prime focus without additional optical magnification on future ISS imaging attempts. I removed the Powermate and mounted the D850 DSLR at prime focus, focused on Capella, and locked the mirror. 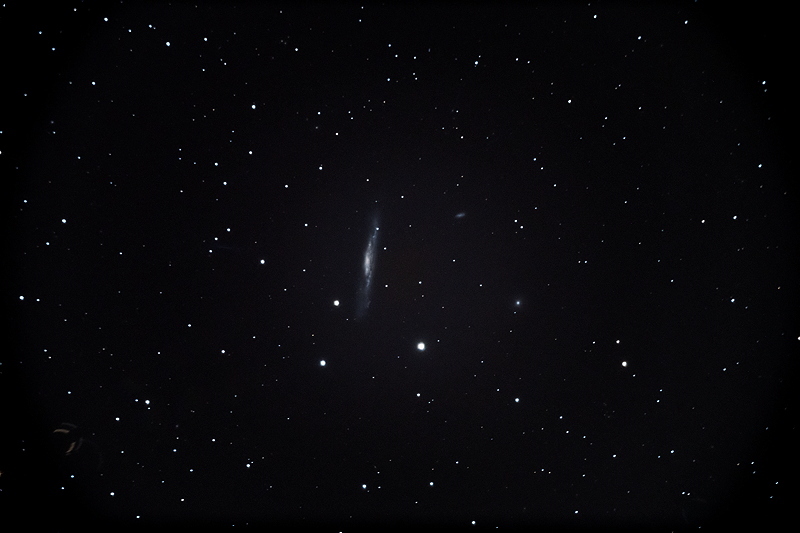 I then began imaging some more galaxies for my Extragalactic Supernova Project. 2033 MST: High Precision ON. 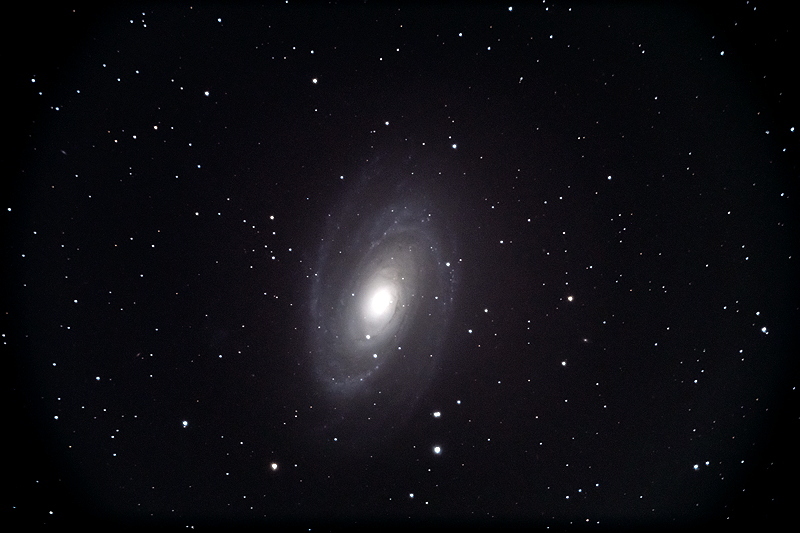 Slewed to NGC3031 (M81, Bode's Galaxy). 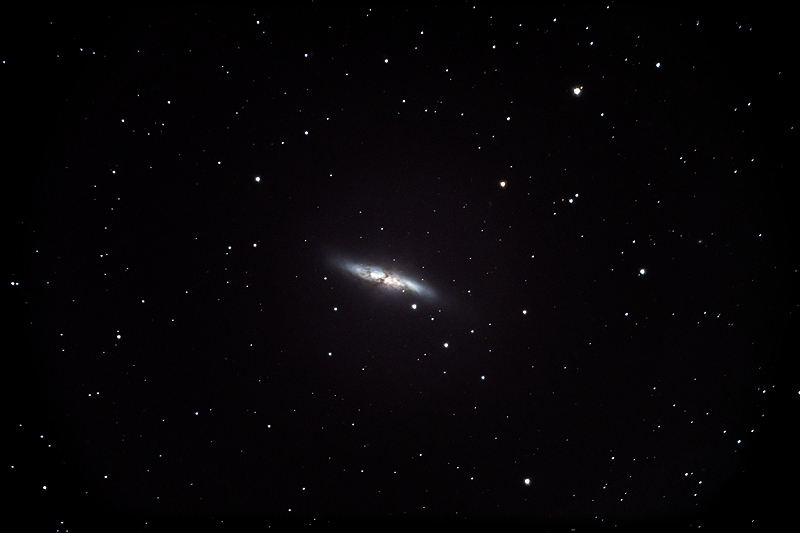 I also took this StarLock autoguided, 1 minute, ISO 6400, White Balance 5000K image of M82 (Cigar Galaxy). 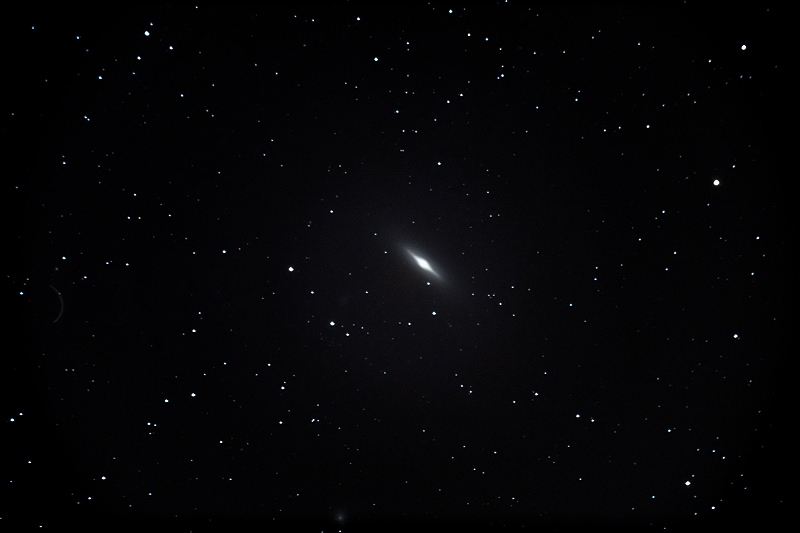 The shorter exposure (cropped) shows the details in the galaxy better than the longer exposure. 2150 MST: High Precision OFF. 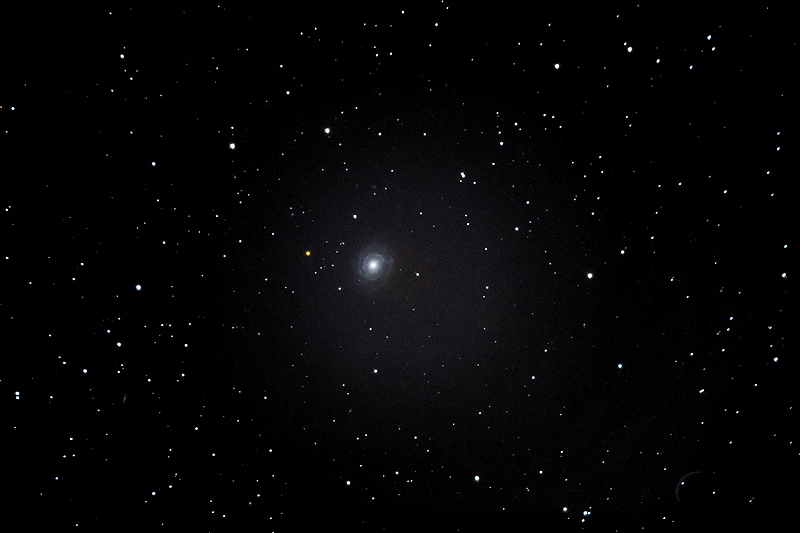 I also tried to image the Twin Quasar in Ursa Major (RA 10h 01m 20.99s, DEC +55° 53' 56.5", Magnitude +16.7). Unfortunately, a slight pointing error put it outside of the image field-of-view. Will try again on a future session.